Terry Fox, the inspirational Canadian runner who raised money and awareness for cancer research in 1980 by running across Canada on one leg, would have turned 53 today. While Terry never made it across Canada, his Marathon of Hope run lasted 143 days and over 3300 miles until he passed away on June 28, 1981. His original goal of raising $23 million (a $1 for every Canadian) has now grown into a legacy that has raised over $500 million for cancer research. I’m not a dreamer, and I’m not saying this will initiate any kind of definitive answer or cure to cancer, but I believe in miracles. I have to. Being a longtime runner and nearly the same age as Terry, I appreciate his efforts and hope everyone can take a moment today to remember Terry and the miracle he inspired. Learn more about Terry Fox and how you can help at the Terry Fox Foundation. Thank you Terry for inspiring so many people. 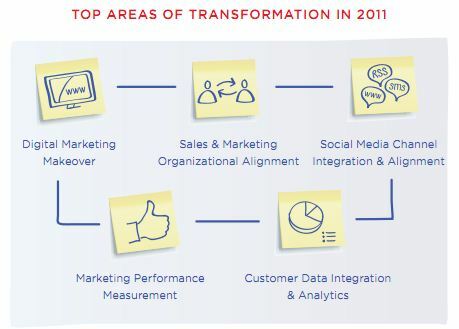 The CMO Council just came out with their annual survey of the State of Marketing – the 2011 survey is available from this link. The report is jointly sponsored by Deloitte Consulting and OpenText, and the 28-page Executive Summary is free to download (the entire reports costs $199). Christine Cutten and Jennifer MacMillan, from Deloitte Consulting, provide their own 2011 commentary at the end of the Executive Summary too. 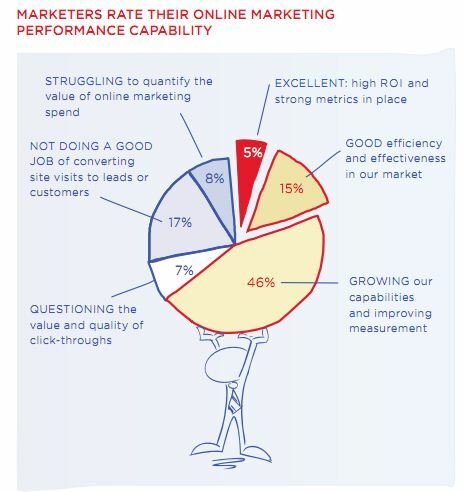 Only 5% of the CMOs surveyed thought they were doing an excellent job with online marketing while more than 25% were not doing a good job or struggling to quantify the value of their online marketing budgets. The marketers in the survey are moving away from “random acts of marketing” to a more focused view on operational and performance accountability. The report overview wraps up by discussing the need for expanded expectations around business analytics, database management, digital marketing and strategic marketing. Though survey results clearly demonstrate that at this point, professionaldevelopment revolves around customer knowledge and intimacy, many CMOs are looking to get smarter about some of the emerging technologies and tools dominating headlines, such as social media and mobile. With so manyresponsibilities and expectations falling under the umbrella of marketingleadership, the most successful CMOs may perhaps be the executives with the biggest breadth of expertise, as they will be best equipped to manage the full spectrum marketing challenges. If you are a small business, restaurant or service provider, then you need to add Patch.com to your social media marketing toolbox. According to the Patch.com website, ” Patch is a new way to find out about, and participate in, what’s going on near you.” Essentially, it is a hyper-local city-specific online resource for local news, events, discussions, photos and directory for business. The Los Angeles Times carried an article titled “Trying to Patch into the hyper-local news market” that provides a good overview of Patch and there is more on their About webpage. Patch.com is now owned by AOL and each local Patch.com site has a local editor who oversees the publication and is responsible for creating content with the help of volunteer citizen journalists. 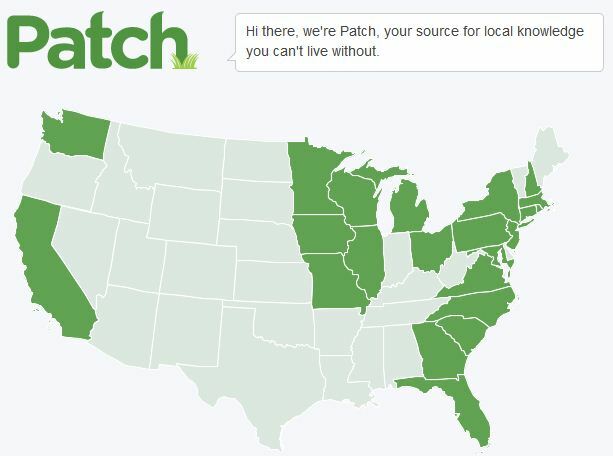 Patch.com has been rolling out local “patches” since 2009 and the map below shows where Patch.com is available. In Manhattan Beach where I live, we have been lucky to have manhattanbeach.patch.com for more than a year now. Even though we have two very good weekly newspapers (The Beach Reporter and The Easy Reader), Patch provides a valuable service that goes beyond the weekly print publications. For example, our Manhattan Beach Patch often breaks local news stories before they are reported by other publications and they do a great job of covering local sports. How Can Patch.com help promote your business? Patch has several ways to promote your business. Claim your listing – Each local Patch has a section called Places where local businesses are offered free listings. Most of the directory has already been completed with rudimentary information about local businesses. To maximize their profile, business owners should claim their listing which will let you update and add additional information or pictures too. Add events – You can also add events to a business listing. Are you having a special event in your restaurant this month? Are you sponsoring a charitable event? Patch lets you easily add events that can be tied to your business listing. Advertise on Patch – Finally, Patch offers paid advertising for local business too. Encourage reviews and ratings – Patch users can also rank and rate businesses listed on Patch.com. So make sure to remind your customers that you are on Patch and ask them to rate you. What does a Patch.com profile look like? I am actually taking my own advice and set up a business profile on Patch.com last week. As I am an independent consultant without a real address, I was not automatically added to the list of businesses in Manhattan Beach. So, I submitted my information and created a listing for my consulting business. 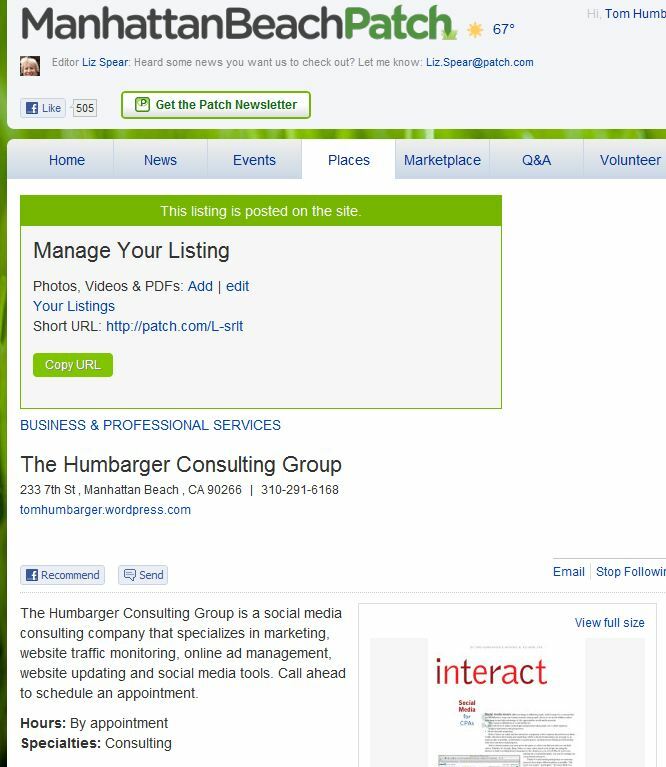 Now that the listing has been activated, I can add photos, videos and PDFs to my profile too – plus the listing uses SEO-friendly URLs as well (http://manhattanbeach.patch.com/listings/the-humbarger-consulting-group in my case). I wrote a blog post last year titled “7 Social Media Must-dos for the Restaurant Industry” and Kevin Young from FillingTables.com stumbled across it on the Internet. Kevin has started a bi-weekly podcast on marketing for the restaurant industry and he recently asked me to be his guest for his second podcast. During the podcast, we go into the details behind my post and the 7 most important things that a restaurant needs to do with social media. I have embedded the podcast below or you can download it from iTunes. For your convenience, I have also added a table of contents if you are looking for a particular social media subject. Many thanks to Kevin Young and FillingTables.com for including me in their podcast. Since I have an interest in both Social Media and the Financial Services industry, I wanted to create a blog post with various resources I have encountered recently. This is a win-win for me as it helps organize my resources while providing an easy way to share this content with others. Social media in the financial services space is different than some other industries because regulations imposed on and overseen by the Financial Industry Regulatory Authority (also known as FINRA). Social media impacts financial disclosures, investor protection and marketing activities — and needs to be approached with more caution than most other industries. Because of these issues and the conservative nature of the industry, most financial services firms have been slow to adopt social media practices. But most firms would admit that they cannot continue to ignore this important channel. I wanted to talk about an ongoing challenge that I know you are all struggling with: social media, and how to keep pace with disclosure and investor protection issues. In 2009, FINRA organized a Social Networking Task Force composed of FINRA staff and industry representatives to discuss how firms and their registered representatives could use social media sites for legitimate business purposes in a manner that ensures investor protection. Based on input from the Task Force and others, FINRA issued Regulatory Notice 10-06 last year. The task force continues to examine some of the more recent questions and concerns involving social media. For example, firms have had questions about the best way to supervise “business card” information that is posted on a social media site, particularly when there is the potential for employees to communicate about securities-related business through these sites. Firms have also questioned how they can most effectively supervise employees’ use of personal devices, such as smart phones, BlackBerries and iPads, which are able to access firm systems. The Task Force has discussed some broader Internet issues that extend beyond social media sites, such as the use of hyperlinks from firm websites to third-party sites, and the use of third-party data on firm websites. Our goal is to provide further guidance on these issues in a Notice to be published later this year. In the meantime, we welcome your input, and look forward to working with the industry on social media issues going forward. To start off, here is a wonderful presentation on how FINRA impacts social media in the financial services sector by marketing expert Glen Gilmore. I plan to add more resources to this post as I run across fresh content. Or please post any suggestions for additional resources in the comments section for this post. 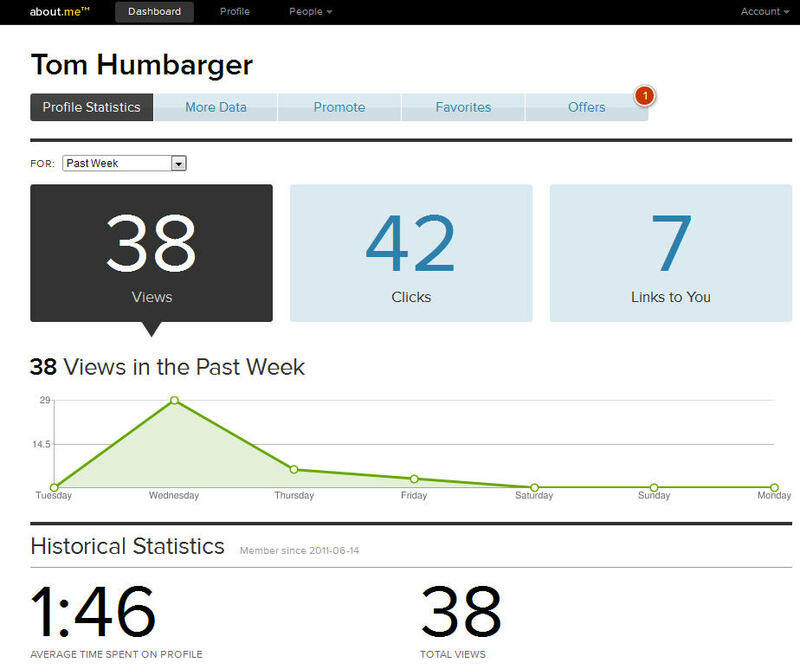 Do you want an easy way to create an overview page about you, including links to where people can contact you? If so, you should check out the new service About.me. About.me lets you create a one-page overview of yourself including links to your website and the leading social media websites like Twitter, LinkedIn and Facebook. About.me helps consolidate all of your web activity in one place using one URL. Why do I like About.me? Simple yet comprehensive — About.me is very easy to use and it is simple to add links to your key social media properties and websites. It is also possible to use your creative talents to develop very visual pages. Check out the About.me home page for examples of “Who’s Using It”. Oh, and it’s free to use About.me. Customized URLs — you can maximize your visibility by creating a customized username which becomes part of your About.me URL. 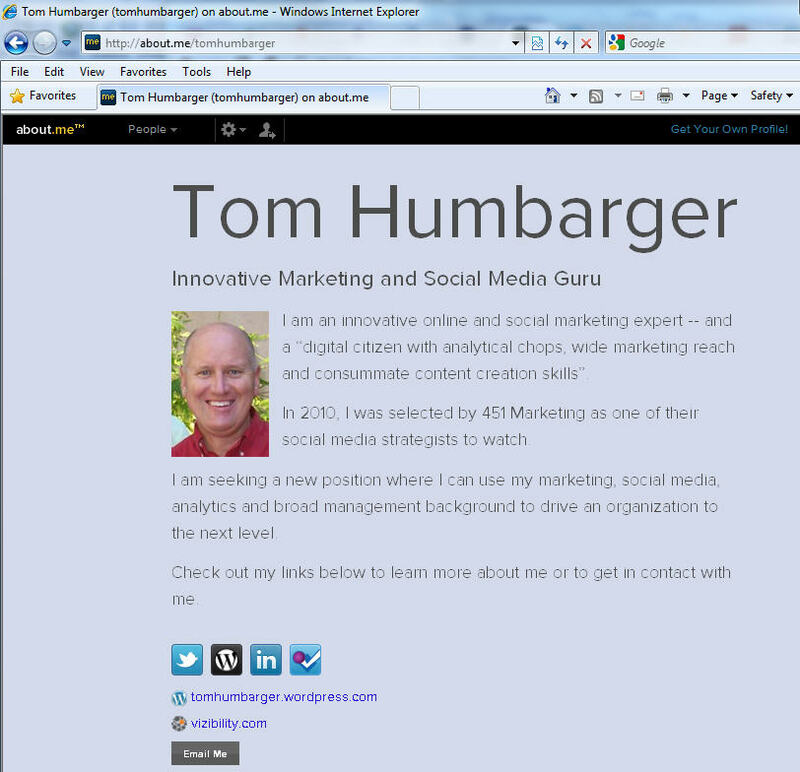 For example, I chose tomhumbarger as my user name so my About.me URL becomes http://about.me/tomhumbarger. And you can use the Promote page to submit your custom URL to the Google, Bing and Yahoo search engines or publicize it on Facebook or Twitter.